Betty Bronson beat out Gloria Swanson and Mary Pickford for the role of Peter Pan. Both actresses were older than Bronson; better established, more accomplished. Pickford, in particular, was famed for playing children. But neither could have done better, in this role, than Bronson did. No less an authority than J.M. Barrie himself selected her for it. Bronson is not simply the centerpiece of Peter Pan—she embodies it. She's a free-spirit, dancing her way through scenes: conscious of an audience watching her but not concerned about it. A belle among bells and whistles and shiny objects. She connects with us as an performer as well as a character, constantly reminding us that we’re not just watching a made-up story, but a movie depicting one. Give the dog its props, too. It is Nana the sheepdog, played by George Ali, who establishes Peter Pan's direct relationship with us. The film’s earliest scenes, set in the bed chamber of the Darling children, belong to Nana; who goes about her business drawing the children’s baths, placing their wet clothes over the fireplace screen, serving them spoonfuls of medicine—all the usual stuff a nursemaid would do. Nana generates big laughs; not because she’s a dog doing human things, but because Ali abandons dog-ness almost entirely, gesturing with his head and paws like a man would, all the while remaining in his silly get-up, on all-fours. We don't buy it for a second, but the film doesn't want us to. Ali and Bronson have no scenes together, which is probably for the best. Only once poor Nana's chained in the back yard does Peter appear, searching for his shadow. His puttering soon wakes Wendy (Mary Brian), the poised, bland, eldest Darling, and one of the only female characters in the film. Peter decides she’d make a perfect mother for him and his pack of Lost Boys back in Never Never Land. Wendy seems intrigued by this, though she’d also like a kiss on the mouth from the Boy Who Can Fly. Freud would have a field day. The scenes in the bedchamber foreshadow spectacles to come. Tinker Bell (Virginia Brown Faire) proves more than a spark in the room—impressive in-camera effects give us a real, jealous faerie who can yank Wendy’s tresses in mid-air. The Darling children then take to the air themselves, following an application of faerie dust. Bronson simply opens her palm and blows in their direction—which is all it should be. Try to find a wire here. Or better yet, focus on how the young actors, particularly Bronson, find the music of the scene and move accordingly. Wendy soars with relative grace, but the youngest Darling, a boy of about four, doesn’t so much fly as scramble, or dog-paddle, through the air. And Peter Pan is always balletic, always posing—as you might too, if you thought play-time would last forever. Peter Pan’s effects grow more elaborate in Never Never Land. We'll see a house that forms itself from the underbrush to surround Wendy; a gaggle of faeiries swept away with a broom; and later, a pirate ship that flies. This ship belongs to Captain Hook, played with grinning gusto by Ernest Torrence, a man whose radio-worthy face made him an ideal villain in early films. Torrence plays Hook as a self-important, mannered fool, running scared from a croc with a clock in its belly. Like Bronson, he was capable of subtler performances, but played his role in Peter Pan as broad as he could. Hook will prevail for a while; we know that. Then there will be a battle, likely aboard ship, and Hook, likely, will walk the plank when it’s over. But victory is not inevitable. It will take all the desire, willpower and magic that Peter and his friends can muster… and you--YOU--are one of those friends too, little boy or girl! I can’t sign off without mentioning Peter’s exhortation to the theatre audience—that famous moment when Bronson breaks the fourth wall, pleading with us to “Clap—CLAP!” and show the poisoned, dying Tinker Bell that yes, we still believe in faeries. You can still get an audience of 100 adults to clap for this scene in 2010—I witnessed it live. But more importantly, this gimmicky scene actually moves the film ahead; following, as it does, a long and slow sequence in which Wendy and Peter play-act the roles of husband and wife, father and mother. It’s not badly done, but it does lull you a bit. Clapping gets you primed for war. 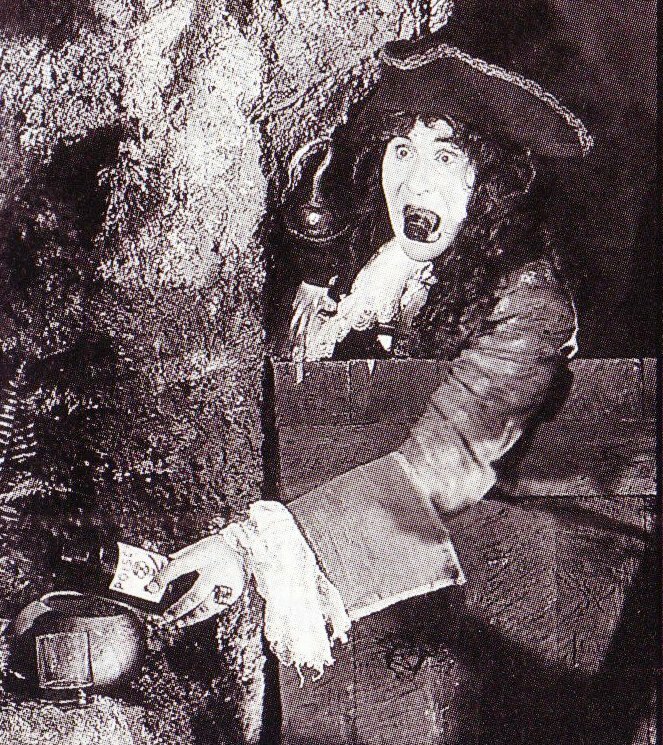 Silent films, especially early ones, are often criticized for being too ‘stagey.’ This attack could be directed full force against Peter Pan, with the additional charge that it is ‘old-fashioned,’ since it’s not even that early a silent. But Peter Pan is very serious about its unseriousness. Its fakery is measured. And if we enjoy it, we must admit we’d enjoy it less if it were some grown-up film, challenging in its themes, grim in its wisdom. There are many such films out there to watch. And oh so many years left to watch them. ***Betty Bronson also appeared in Are Parents People? (1925), playing a much different role. I attended a live screening of Peter Pan at Toronto’s Eglinton St George’s United Church. The film was ably accompanied by the Orpheus Choir. Peter Pan is also available on DVD through Kino International. I remember thinking that dog was odd, but in the best way. It was definitely a great start to a clever movie. What interests me about Ali's performance is that it's deliberately 'human.' He gestures like a man, whereas earlier, equally unconvincing animal suited actors just romped around like the animals they were supposed to be. Having not seen the theatrical production since I was a kid, I don't know if this is lifted directly from it. Maybe? It is directly lifted in some ways. George Ali was the only member of the cast who had acted in the play onstage and was well known for it. The play itself premiered on Dec 27 1904, making it effectively a British Christmas pantomime -- replete with fantastic and whimsical costumes (especially animals). exotic settings, special effects, some broad characterizations, audience participation (essential! ), and a sense of otherworldly magic over the whole. The difference is that Barrie made it a real _play_, with considerable depth and complexity lurking beneath its surface, which is why it was an international hit when British "pantos" generally were kept at home. Brenon evoked deliberate theatricality while adding cinematic touches (in collaboration with his special effects man Roy Pomeroy and wonderful camerman James Wong Howe) to "open it up" just a bit. Incidentally, the film's NY premiere was Christmas Day 1924.